Heat the butter in a heavy pan. When the butter completely melts, add laccha shemai. Keep stirring constantly until the kunafa is brown on medium heat. Add ground nuts. Keep stir well. In a dip bowl on medium heat, add milk. Have a whisk and gently pour rice flour into milk, whisk constantly until there are no lumps what so ever. Add cornstarch and sugar and keep whisking until it is done (about 6 minutes).when it’s thickened, add vanilla and leave it for cooling down. Now add the milk pudding with whipped cream and whisk them. In a small saucepan on high heat add water, sugar, lemon juice and salt, bring to a boil then reduce to low, cook for 5 minutes. Cook until thick, like a syrup. Pour 1tsp butter and orange food coloring onto on baking tray. Spread all over the tray. Place half of the kunafa on the baking tray. 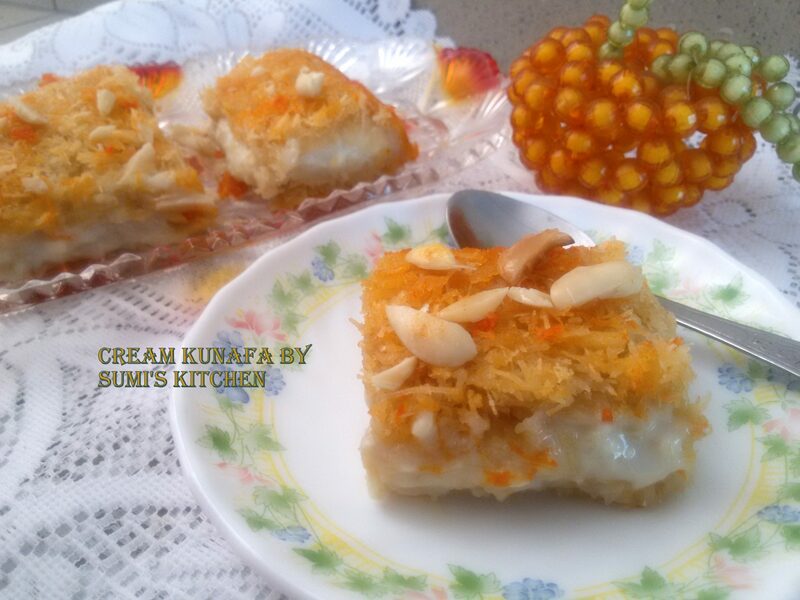 Make a flat layer of kunafa and spread the cream mixer over it, and cover with the rest of the kunafa. 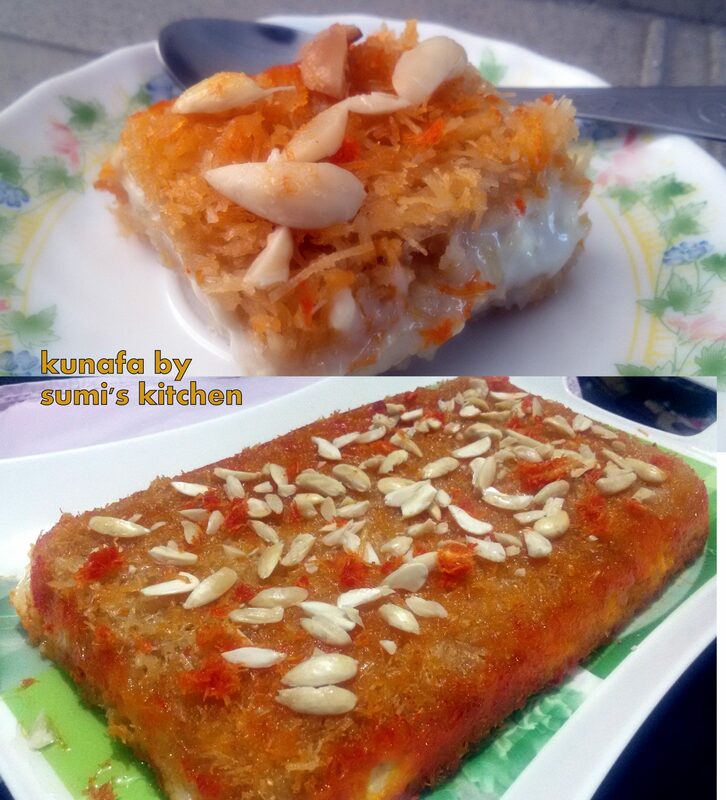 With both palms, press down on the top layer and flatten the kunafa. Bake in a pre-heated 350F oven for 45 minutes or until golden brown.